Frequently Asked Question | You have questions? Great OpenGate Lending has answers! If you are purchasing a home for the first time or if you have purchased multiple properties, it still doesn't hurt to ask questions, especially if the information is free! Below are some of the most common questions asked by future homeowners, and if you need help or would like to speak with someone, you can call us at 800 248 1176. It would be our pleasure walking you through the process. How much does it cost to purchase a home? Besides the price you and the seller agree to, there are other costs associated with owning a home. Depending on the loan product, you may have to come up with a down payment of 5%, 10% or even 20% of the purchase price. FHA loans normally require a smaller deposit & VA loan products (for veterans) usually have 0% down payment. A home inspection fee, appraisal fee, closing costs, property taxes, homeowner's insurance, prepaid-interest, etc., are all costs common with purchasing a home. The easiest way to answer this question is to get pre-approved. 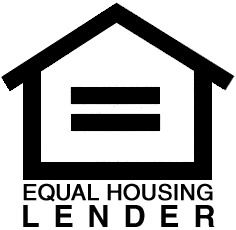 Mortgage loans are unique and have different qualifications. OpenGate Lending can help you find what loan programs you qualify for and more importantly, which programs work best for you! Our job is to get you the lowest down payment, the best rates, the lowest monthly payments, all while meeting your short or long term home ownership goals. Getting pre-approved is 100% Free. Pre-qualification is a mortgage term which simply means performing a "basic review of your financial situation" in order to give you a better idea of how much you could be eligible to borrow. You'll be asked questions like you how much money you make, the amount of money you have saved, what your credit score is, just to name a few. In other words, it's a very simple financial review to see what "ballpark-wise" you can be approved for when it comes to a mortgage. Again all of this is 100% free and it can be done quickly, right over the phone. It's highly recommended if you are considering purchasing a home. Pre-approval is different from pre-qualification because a pre-approval is a more lengthy process and takes a more in-depth look at your financial situation. For example, in a pre-approval we look at your debt to income ratio (how much you make monthly compared to how much you owe/spend), verify paystubs/income, review financial documents (bank statements, tax returns, investment accounts), pull credit to see how the credit bureaus rate your credit worthiness, look at the assets you currently own, and the list goes on. It's not a difficult process and it lets you know what you truly qualify for. If you're purchasing a home the current owner will like the fact you have been pre-approved rather than just pre-qualified as it shows the seller that your financials and credit worthiness has been verified and that you have a strong certainly of securing the financing necessary. Am I required to get a home inspection? You are not required to get a home inspection, but without a doubt it's a good idea. Inspectors are trained to find issues your realtor, the seller and yourself are just not knowledgeable about. A home inspection costs a few hundred dollars to complete and may keep you from having to pay thousands in surprise home repairs. Plus if the inspector finds something, you can negotiate with the seller to have them fix the repairs prior to the sale or discount the purchase price to account for the repairs you may have to make. OpenGate Lending always recommends you get a home inspection. How long will purchasing a home take? Once you have found a home, completed the inspection and agree to the terms with the seller, the escrow process begins and contracts are drawn. Escrow can take 30 - 60 days and you never want the escrow process delayed, which is why it's important to get pre- approved so your loan can fund quickly once documents are signed.